The former Victoria Police Hospital, opened in 1914 on the corner of St Kilda Road and Southbank Boulevard, was officially re-opened by Vice-Chancellor Professor Glyn Davis this month after a year-long refurbishment of the heritage-listed building. 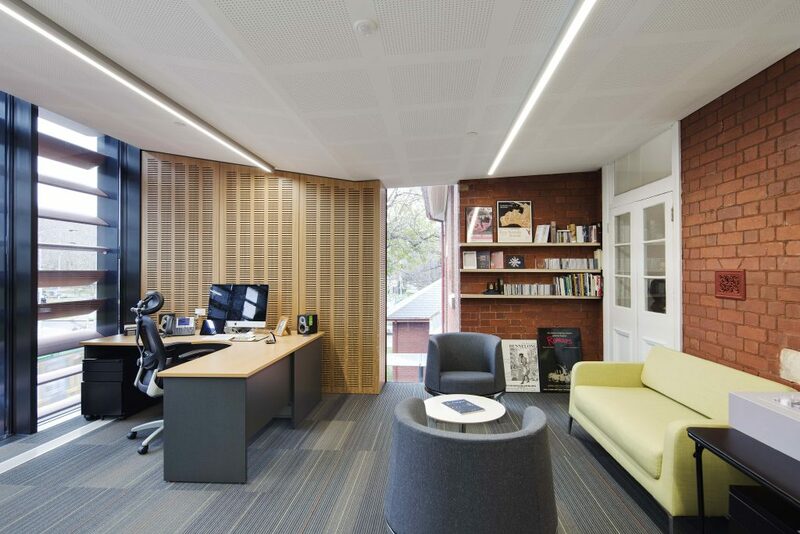 The “Old Police Hospital”, as it is now called, provides accommodation for the Dean’s office and administrative units of the Victorian College of the Arts and Melbourne Conservatorium of Music (VCA & MCM) who are lucky to have it as a Faculty Hub. The building is light and open. 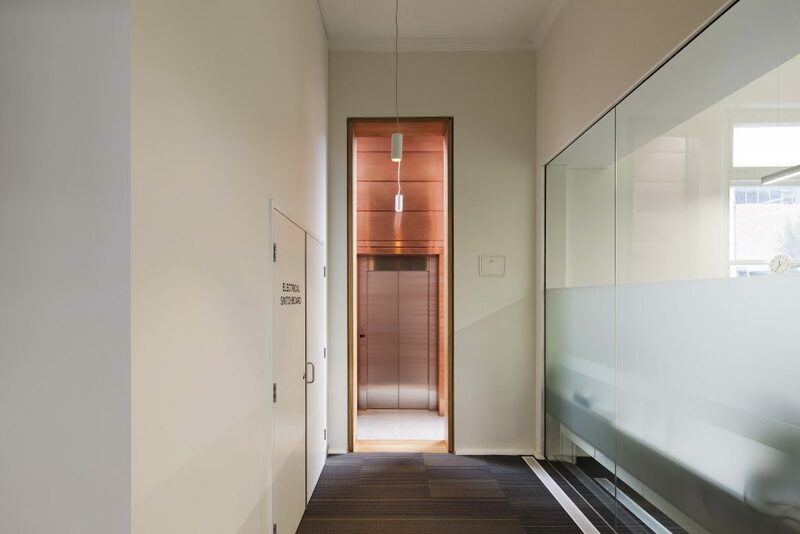 In fact there isn’t a space which doesn’t have access to natural light – atypical of a University workspace as is the building’s history, which now has meeting rooms with such names as The Dispensary and The Operating Theatre. The former Victoria Police Hospital operated as a hospital for some 65 years from 1914 and was not only the first police hospital in Victoria, but is claimed to be the first in the world. During the First World War it was used as a military hospital and then for the public during the Spanish influenza outbreak, with the police resuming control of the site in 1920. 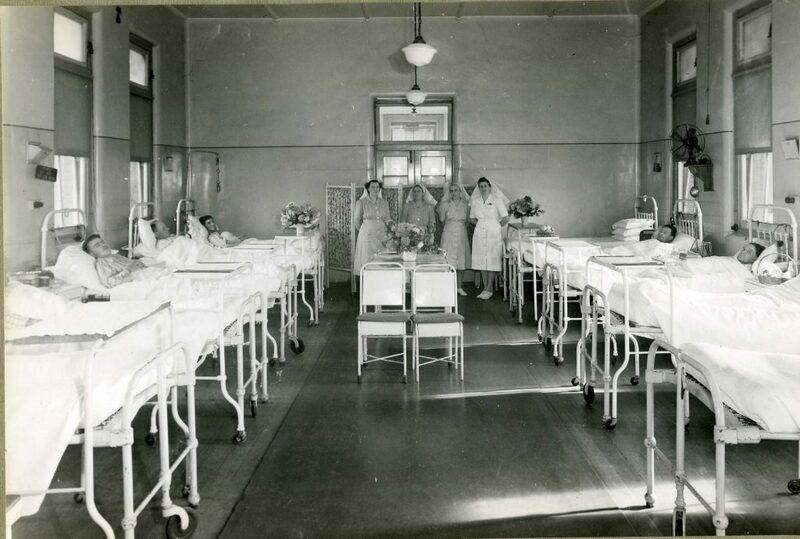 The original Police Hospital Ward, circa 1946. Image supplied by the Victoria Police Museum Collection. Its design was based on the pavilion principle, which expressed the late 19th and early 20th century attitudes to hospital design. Intended to provide ample sunlight and ventilation for the convalescing patients, it also included a two-levelled verandah on the north and south elevations. The police transferred their hospital to a new building nearby in 1980 and the site was taken over by the VCA, which had commenced occupation of the former Police Depot from 1973. The building was subsequently converted to a print-making school and employed as such until 1992. Since then it has been used for offices and storage and allowed to fall into a dilapidated state. Luke Flanagan has been the project manager for the site since the beginning of 2013. He has been working on the design and build alongside lead architect Louise Goodman and senior architect Fleur Downey from Francis-Jones Morehen Thorp (FJMT) and heritage specialists RBA Architects and Conservation Consultants. 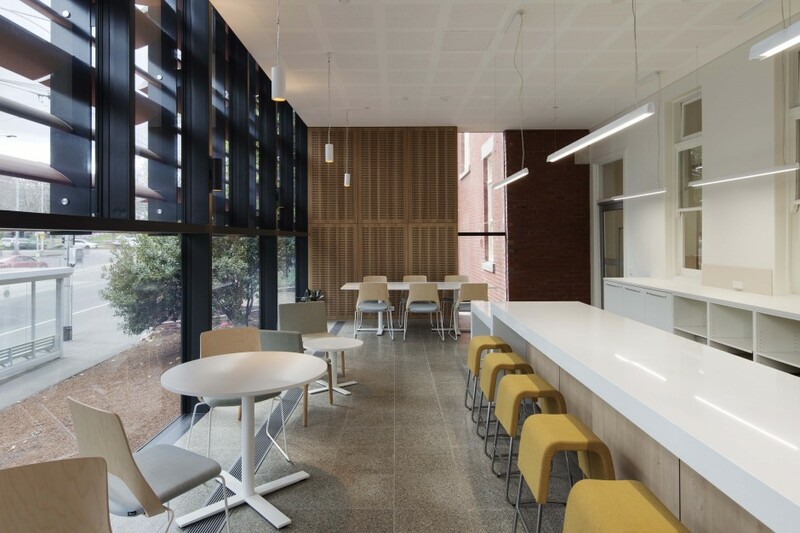 For Flanagan, the greatest challenge of any heritage project is getting the balance right between retaining the original fabric, working within the heritage restraints set by Heritage Victoria, and achieving an acceptable standard with the functional and aesthetic requirements of the space. The Dean’s office. Photographer: Ben Hosking. “There’s always conflict and tension there. 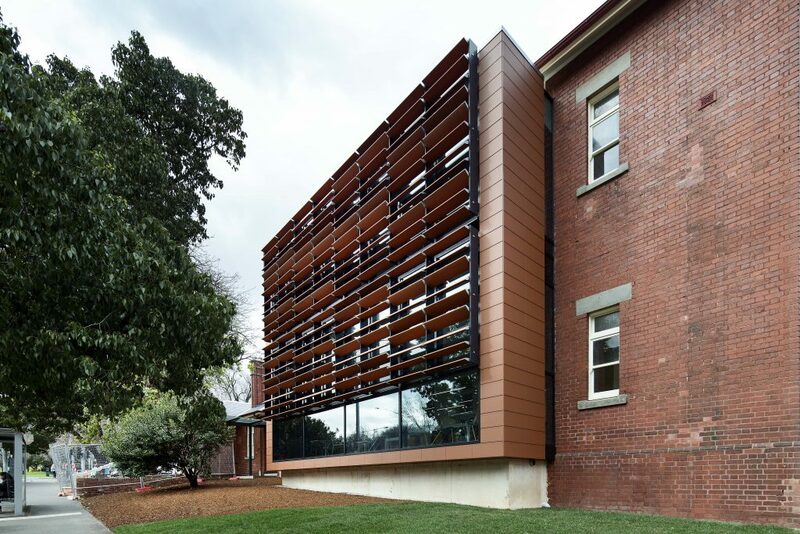 Every heritage building has its own characteristics and qualities and the trick is to exploit, amplify and take advantage of them – while at the same time ensuring any interventions or additions are made sensitively,” Flanagan says. 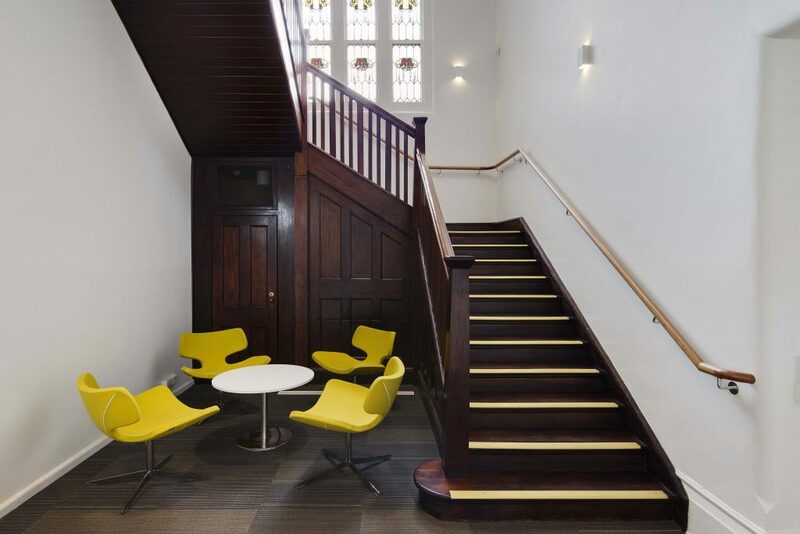 The Old Police Hospital brings together many of the new and existing elements, in a shared space, to be enjoyed by all of the staff. One of the key design features of the site is the addition of a two-storey glass curtain wall extension, with terracotta louvres, to the Southbank Boulevard frontage. The original verandah was replaced in the 1950s with a balcony and small extension on the ground floor. In removing these additions, the building resembled its original form. The new addition was designed to act as an enclosed verandah, referencing the symmetry of the vertical columns on the southern verandah. The differing angled louvres filter the sun and provide privacy as well as breaking up the horizontal elements. The terracotta used for the louvres is a natural complement to the deep red of the existing brickwork. The restored spiral staircase. Photographer: Ben Hosking. The spiral staircase has been beautifully restored. The balustrade was originally built using rare red pine, which unfortunately didn’t meet the structural requirements. So the new timber is ironbark, a mix of two types to achieve the variance required, with a French polished finish. The staircase didn’t meet current balustrade height requirements, so the balusters were replaced with longer lengths and the newel posts extended with new timber additions. The additions are designed to show a visible line between old and new. There are tile features left over from another age tell their own story, and the new wall openings are defined by the use of a blackbutt timber portal to clearly distinguish new from existing building elements. View of the copper-clad lift. Photographer: Ben Hosking. Outside, new steel and glass entry canopies to the north and south of the central entry tie in the language of the new building elements, and an eye-catching copper lift has made it to completion after initially being out of budget (before the price of copper plunged). The interpretative garden adjacent to the lift, designed by Oculus landscape architects, is intended to resemble the outbuilding which was located in the same place. The new glass extension creates a significant impact on Southbank Boulevard and adds a touch of contemporary flair to the streetscape – “it has a bit of drama to it”, says Flanagan. Given the plans for Southbank Boulevard, the building is situated in an important location. The City of Melbourne is looking at running a kilometre-long park from St Kilda Road down to Queen’s Bridge. Tram alignment will remain the same but the existing four lanes of traffic will be reduced to two with aim of increasing pedestrian traffic instead. “The real driver there is to create a meaningful connection from the city into the art’s precinct,” says Flanagan. Glass wall extension. Photographer: Ben Hosking. All of this fits within the broader development of the VCA & MCM’s Southbank campus, a venture funded jointly by The Myer Foundation, The Ian Potter Foundation, the University of Melbourne and the State Government through Creative Victoria. Last year, the Grant Street Theatre was reopened with Lionel’s cafe and bar, named after major supporter Lionel Gell. This year, the Brian Brown Recording Studio underwent a substantial renovation, and the old industrial Teaching Workshop has also been re-opened as a cutting edge research facility. In 2016, the stables that were once occupied by police horses will be transformed into visual art studios. In 2017, a new purpose-built museum will be opened to showcase Michael Buxton’s contemporary Australian art collection, and plans for a new Conservatorium building are also slowly gaining momentum. For staff and students at the VCA & MCM, it’s an exciting time. These new developments aim to set up the University’s Southbank campus with the best facilities to teach young artists for the next 50 years. 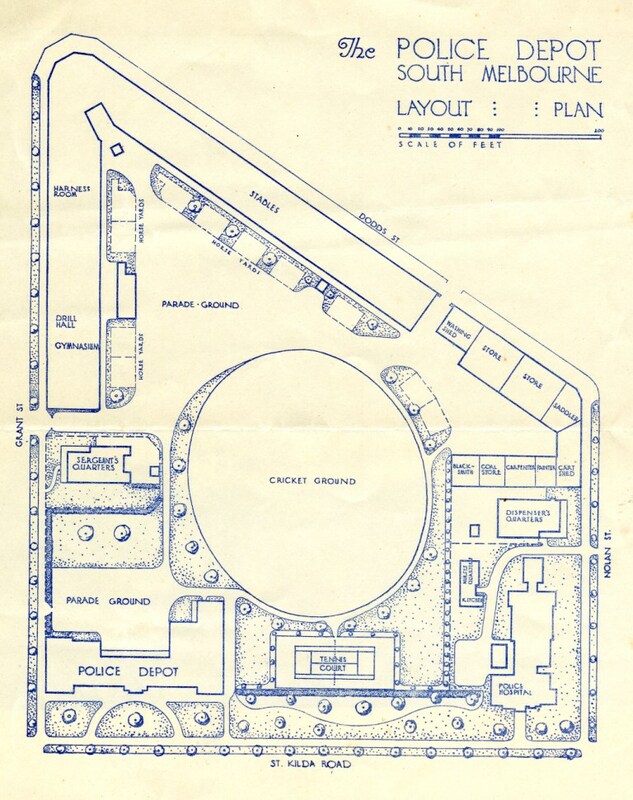 Original Plan of the Police Depot site when it was opened in 1926. Image supplied by the Victoria Police Museum Collection. Banner Image: Ground floor of the two-storey glass curtain wall extension. Photographer: Ben Hosking.